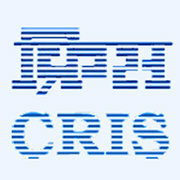 CRIS Recruitment 2019 - Job notification for Executive/ Sr.Executive (Purchase) Posts in CRIS, New Delhi on Deputation Basis. Applications are invited by Centre for Railway Information Systems within 30 days from the date of issue for 3 vacancies. (ii) Serving Railway employee working in Stores Department in relevant grade in Level 6. The employee will draw pay which would have been admissible to him/her from time to time on Railways plus deputation (duty) allowance. Serving Railway employee working as Chief OS/CDMS in Stores Department. The employee will draw pay which would have been admissible to him/her from time to time on Railways plus · deputation (duty) allowance. • The employee should have working experience in Tendering and Post contract work etc. of Stores Contracts. • The employee should be conversant with functioning in a computerized environment. Eligible candidates may send their application in prescribed format (attached below) to Centre For Railway Information Systems, Chanakyapuri, New Delhi-110021 within 30 days from the date of issue, along with D&AR/Vigilance clearance and APARs/ACRs for the last three years.